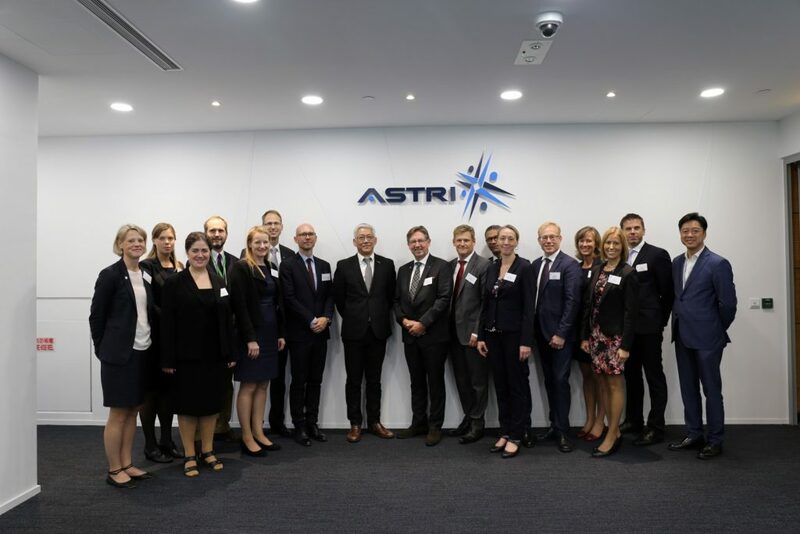 15 exclusively selected individuals from the IFG leadership development programme of the Royal Swedish Academy of Engineering Sciences (IVA) visited ASTRI on 20 September 2016. According to Dr. Maria Dollhopf, the coordinator of the IFG leadership development programme, the purpose of this study trip is to offer the participants with deep insights into the entire ecosystem of R&D innovation in Hong Kong and Shenzhen as well as the R&D processes in different sectors and institutions. They understand that ASTRI is designated as the Hong Kong R&D Centre for Information and Communications Technologies with special goals to market leading-edge R&D for technology transfer to industry and to act as a focal point bringing together industry and university R&D assets to increase Hong Kong’s technological competitiveness. 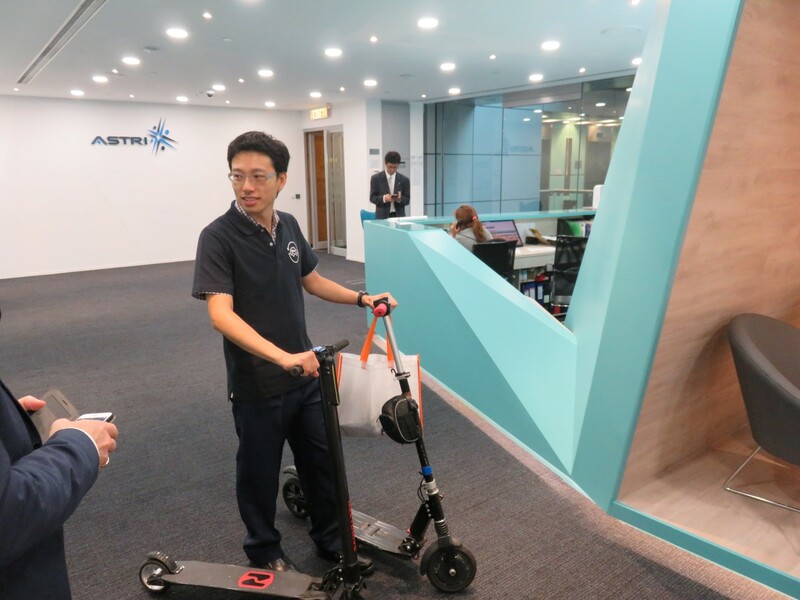 So, they are very interested in knowing more about how ASTRI, as a research institute, differentiates from the universities in Hong Kong and how ASTRI promotes industry and university partnerships in R&D initiatives. Dr. Frank Tong, Chief Executive Officer, Dr. Meikei Ieong, Chief Technology Officer and Mr. Dennis Lee, Technical Marketing Director of ASTRI extended a very warm welcome to the delegates and offered a talk about ASTRI’s latest technologies including Blockchain technologies, Facial Recognition, Cyber Security and Naked Eye 3D Display etc. The delegates also had an opportunity to meet with a fellow member of ASTRI Innovation Runway (AIR) Entrepreneurship Fellow Programme and briefly chatted with the young technology entrepreneur his innovative idea and how he overcame the obstacles in the start-up process. “It’s an impressive and interesting experience both to learn the unique role of ASTRI and some of your innovative initiatives that can facilitate the business to market state-of-the-art products and applications to the general public.” Dr. Michael Jacob, Associate Professor and Senior Advisor of Ministry of Enterprise and Innovation. “What is important to a global company is to understand the different innovation system around the globe. 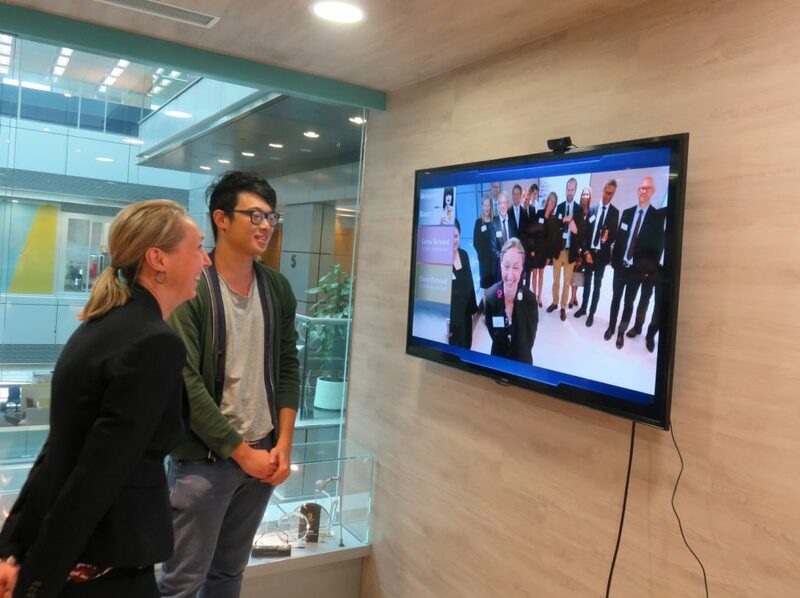 So, this trip gives us an insight into the HK innovation system, get us to think a little bit of what we can do and what we can benefit from here.” Monica Ringvik, Director, Research & Innovation Policy, Sustainability & Public Affairs. “The most impressive area of ASTRI, I think, is your role in the society to collaborate with universities and companies, and also to support new companies and new technologies for society, that’s the most important thing I think.” Dr. Peter Holmstedt, Adjunct Professor, KTH Royal Institute of Technology School of Industrial Management and Engineering. “It is very interesting to visit your facility here and the most impressive thing of this visit is to know that you offer unique opportunities with your technology knowledge and your facilities for companies to commercialise the innovative ideas and launch them in the market, I think that’s very unique. It is also very interesting to see your project demonstrations.” Karin Ifwer, Director, R&D Competence, Research & Development, Strategic Development, Vattenfall.